It’s difficult enough getting students to read the Gettysburg Address or Shakespeare’s Romeo and Juliet (especially the full-blown, all-SAT-words-included version), and it’s even more difficult, after reading, to get any serious discussion out of the students. I attribute this difficulty to the fact that students just don’t care. Shocking revelation, I know, but student apathy is multiplied (and motivation is incrementally destroyed) when “rigor” is introduced. Students – especially my sixth graders – seem much more adept at discussing farts and underwear than diplomacy or canonical literature. Then I had an epiphany. If only I could combine rigor and fart humor into one lesson! Then I’d have an engaging text that also forced students to wrestle with the rigor of the language. Leave it to Benjamin Franklin to show me the way. Let’s take a trip back in time…In the 1700s, the Royal Academy in Brussels, Belgium had established itself as a sort of authority on all things scientific and philosophical. Every year, the academy announced a question that would be asked to all the “learned” men in the world’s scientific and philosophical communities. Whoever came up with the most satisfactory answer to the question was most assuredly showered in all the praise and money and loose Colonial women that any prominent eighteenth century scientist or philosopher would deserve. Ben Franklin was none too impressed with the type of questions the academy asked, believing that there was no greater purpose – no real benefit – to the sort of floofy, metaphysical inquiries these “scientists” were asking. So in 1781, Franklin wrote a satirical letter to the Royal Academy in Brussels to vent his frustrations, and to offer an alternative question. You can read the text of the letter here. Go ahead and read the first couple of paragraphs…I’ll wait. Yes, he suggests asking the world’s greatest scientists how to make farts smell better. Do I really need to explain why my sixth graders were absolutely enthralled with this text? After giving just a little background on the historical context, Franklin’s letter gave me a great opportunity to talk about basic reading strategies: predicting, summarizing, and questioning; but more importantly, I could look at the more critical strategies like clarifying (a lot), inferring, and evaluating. The rigor in the text demands that students break the text down to analyze and understand it, and the fact that it’s a sarcastic jab at the academy presents an opportunity to talk about satire and allusion. Clearly the language is a barrier for many students, but I discovered that after the first couple of paragraphs – once the students figured out the main idea of the letter – the kids eagerly tried to decipher the text, hoping to uncover some humorous quip before their peers could. There were so many hands raised, so many voices quietly squealing in private delight – like being part of a hilarious inside joke. It was a really inspiring lesson to deliver. True, not everyone “got” the letter the first time around, and some still had trouble with the deeper analysis, but the willingness to try from all students was overwhelming. The motivation to understand the words on the page was more than I’d seen with any Shakespeare play. And remember, these are on-level sixth graders. I’d be really interested to see how this letter goes over with high school students. Anyone want to risk talking about farts with an American Lit class? Seems like a great way to introduce the founding farters…err…fathers. 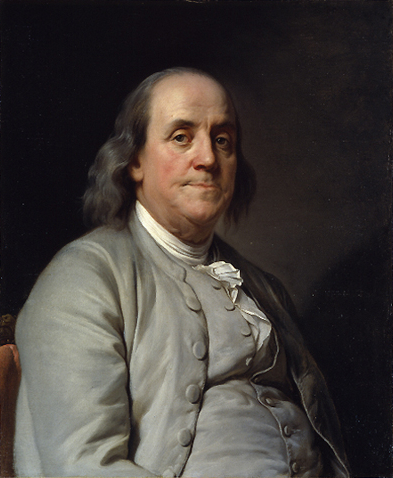 This entry was posted in Adventures in teaching, Lessons, Sarcasm and tagged Ben Franklin, education, English, farts, humor, Letter to the Royal Academy, reading strategies, rigor, sarcasm, satire, teaching. Bookmark the permalink. Franco, you are a genius! No wonder you are a Language Arts teacher. Your writing style is superb! Why did you choose Middle Grades….your talent is much too high for us. This is worth publishing somewhere else besides a blog. I’m amazed; I did not know such talent was across the hall. WOW! Aw, thank you! But no, I’m not a genius; I’m just passionate about what I do. (: And I love where I am right now. Maybe someday I’ll look into high school or higher education, but I feel like I’m having a positive impact in sixth grade for the time being. Thanks again!